To celebrate 20 years since the release of Silverchair's ARIA No. 1 seminal sophomore album Freakshow, UNFD will release Spawn (Again): A Tribute to Silverchair on November 17. Created with the blessing of Silverchair's team, Spawn (Again): A Tribute to Silverchair showcases some of Australia's best heavy acts covering some of the band's biggest hits from their stellar discography. 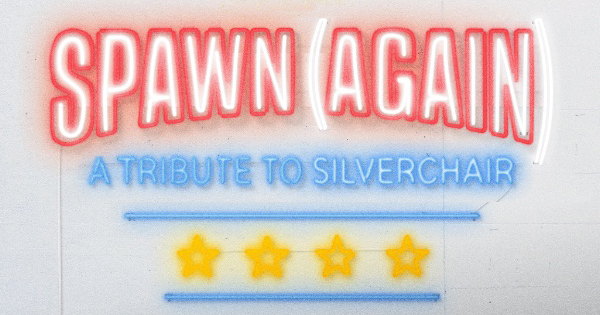 Featuring covers from The Amity Affliction, Hands Like Houses, Tonight Alive, In Hearts Wake, Ocean Grove and more, Spawn (Again) will introduce the talent and legacy of Silverchair to a new generation of heavy music fans. The first single lifted from the tribute is Northlane's cover of "Anthem for the Year 2000." For guitarist Jon Deiley, this song played a significant part in his formative years. "'Anthem for the Year 2000' was the first Silverchair song I ever heard. To me as a young kid, it was intense and heavy and it wasn't til a few years later that I really began to appreciate the impact their music had on me at an early age. I think Australia's love for Silverchair runs deep and their influence on Australian music is still felt today. There's very few bands who can bring together artists to celebrate their work, and Silverchair is one of them." One of the most acclaimed and successful bands the country has ever produced, Silverchair have been a major influence for a number of Australian alternative and heavy artists since they broke out of Newcastle in 1994 at the tender age of 15 years old. Over the course of their incredible career, Silverchair released five albums – all peaking at #1 on the ARIA Album Chart, surpassing the chart record of two of the country's biggest acts Midnight Oil and INXS – and have sold over eight million albums globally. The band has won more ARIA awards than any other artist in history, with an impressive 21 trophies and frontman Daniel Johns holds the very rare distinction of being voted APRA's Songwriter of The Year on three separate occasions. The monumental success of Silverchair ushered in a whole new era for local heavy music acts by opening the door for Australian artists on a global scale. For those kids listening to Silverchair on their discmans who went on to form bands such as Northlane, Hands Like Houses and The Amity Affliction, the band's phenomenal achievements proved anything is possible. To this day, Silverchair remain a huge influence on Australian heavy music.